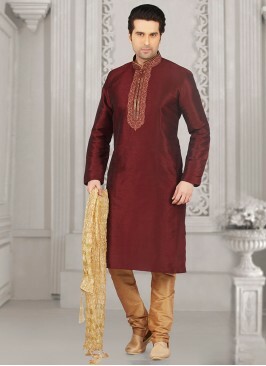 Be your very own style diva with this men's indo western suit in banarasi silk fabric . It come with matching bottom. 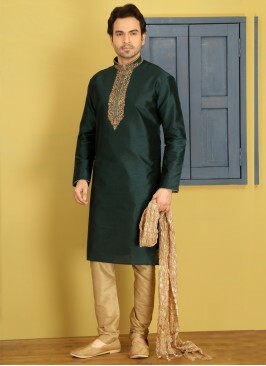 Note: mala, mojdi and safa(turban) only for photoshoot purpose. Off White Men'S Designer ..